TDG 2.0 creates and manages test and mass data in SQL databases. Numerous functionalities are now performed on request automatically to ensure fast results. An entire database can be automatically fully equipped with test data on request. Automated and manually created test data definition can be mixed together. Test data definitions can also be created completely manually or automatically. The number of data sets to be written per table is optionally adjustable for each table. The data assignment for foreign key fields can be parameterized in respect of the database layout. The referential integrity of the target database is considered automatically. Individual SQL scripts can be executed before and after writing the test data. TDG 2.0 creates on demand a parameterizable SQL script with the tables of the target database in the order of their dependencies, a delete script for example. This allows a complete or partial deletion of the database content without having to delete the database as a whole and to rebuild it again. The preview function works dynamically and can be executed at any time during test data development without database access. Any number of test data scenarios can be created for each target database, and each can be executed at any time by a single mouse click. 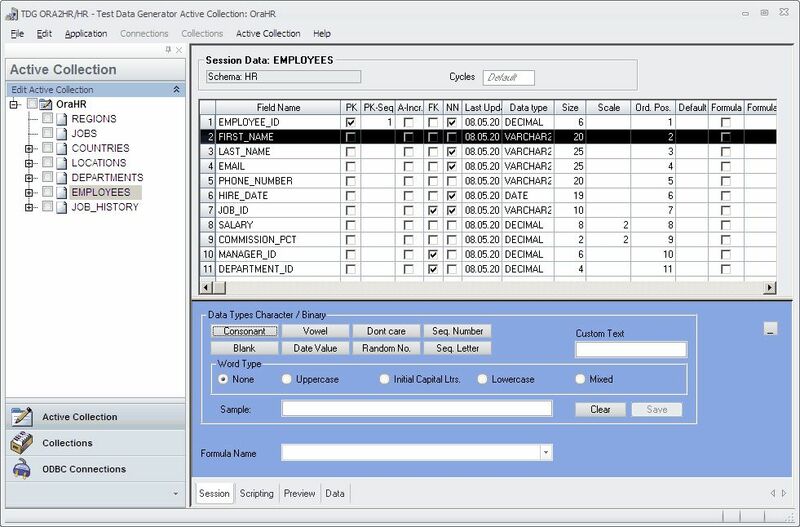 All write operations to the target database can be logged on demand. The ODBC interface makes TDG 2.0 applicable to almost all SQL databases. CSV2SQL is a database utility that converts a comma- (,) or semicolon (;) separated file into SQL92 INSERT statements (Output: SQL-file). The utility uses a header-row, if present, for the names of the columns in the INSERT INTO statements.